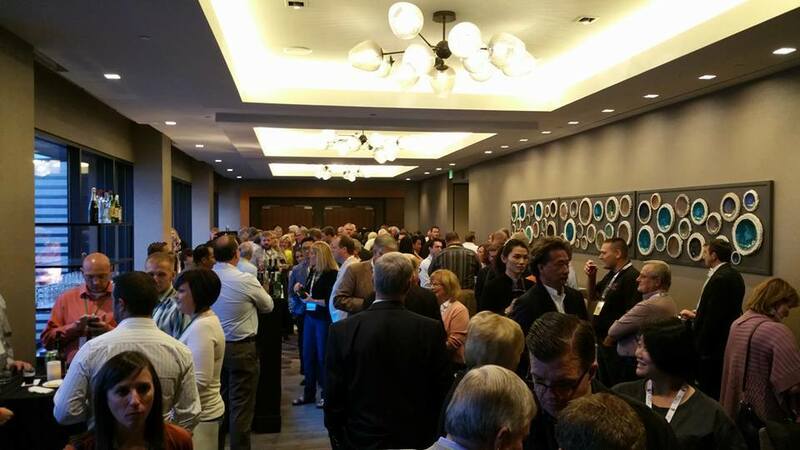 Thanks to the efforts of the association's NGAP Committee, the 2nd Annual Foundation Fundraising Auction held on October 9th in Denver was a resounding success. Those who attended enjoyed a Bluegrass & Brews themed dinner followed by dessert and a fireworks finale by Western Enterprises. There were a host of fabulous silent and live items that were generously donated and generated over $80,000 in funds for the Foundation. The Foundation Board extends its sincere gratitude to auctioneer extraordinaire Chester Davis. 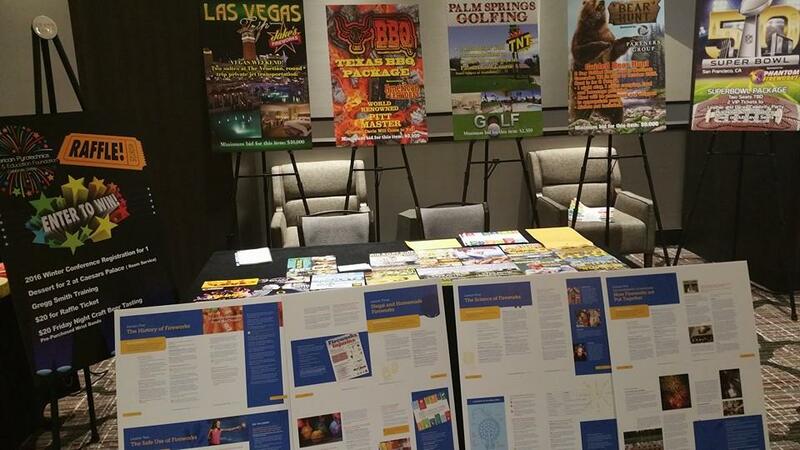 Additionally, they wish to commend the entire NGAP Committee under the leadership of Lauren Collar & Ron Zoldan for once again puting together an event that was a resounding sucess. 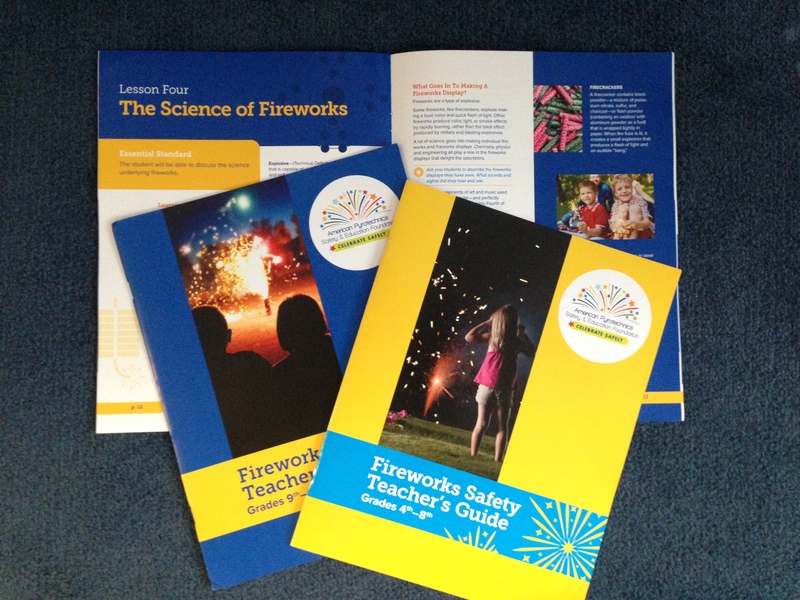 The American Pyrotechnics Safety & Education Foundation has contracted with noted public relations firm Widmeyer Communications to develop fireworks education curriculum kits as a learning tool for teachers, administrators, and youth educators. Widmeyer has extensive experience in this area and has developed similiar initiatives on pool safety and the dangers of furniture tip overs. The draft kits were previewed during the Welcome Breakfast at the APA Convention. Foundation President Michael Ingram thanked contributors for the high level of first year support which has permitted these resources to be developed. Foundation advisor and former CPSC Chair Inez Tenenbaum provided additional insights as to how the kits were developed. Once these kits are finalized, the Foundation will work to have them accepted on a state by state basis for use by educators. Additionally, a video will be developed to compliment these written materials. During its October 9 meeting, the APA Board of Directors approved the Foundation's recommendation that Tad Trout (American Promotional Events), Stephen Vitale (Pyrotecnico) and Herb Chan (United Pyrotechnics) be appointed to serve 3 year terms on the Foundation Board. Also, Dr. John Conkling will relinquish his Board seat but remain the Foundation's primary advisor. Additionally, the Foundation Board named Vince Bellino (Bellino Fireworks), Lauren Collar (Winco Fireworks), Shane Cameron (Pyro Planet), and Justin Thomas (J&M Displays) to serve on an Advisory Board of the Foundation which will, among other tasks, reserach possible grant opportunities. If you haven't already, please learn more about fireworks science, history & safety by "liking" the Foundation Facebook page.